If you're looking to upgrade to Windows 7, or just to perform a clean installation of one of the older Windows operating systems, you probably don't want to reinstall your current collection of installed applications one by one. 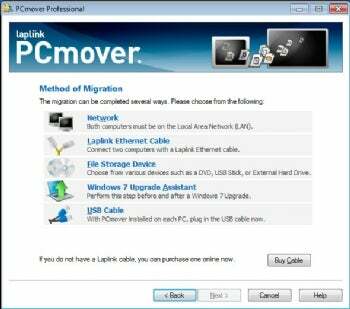 PCmover Professional ($60), unlike the free file transfer wizards found in the most recent versions of Windows, helps you with that--transferring your programs as well as your documents and settings. PCmover allows transfer via a variety of interfaces and media.